Fortress Europe (2007) is a 79x47 inches print of a digitally edited 1960s found photograph of the Berlin Wall, in which the artist Zoran Poposki places himself in the right corner. 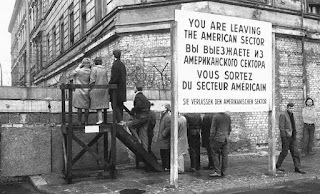 On the photograph, people from the Western part of Berlin are peeking over the wall built by the Russians and into the Eastern part. 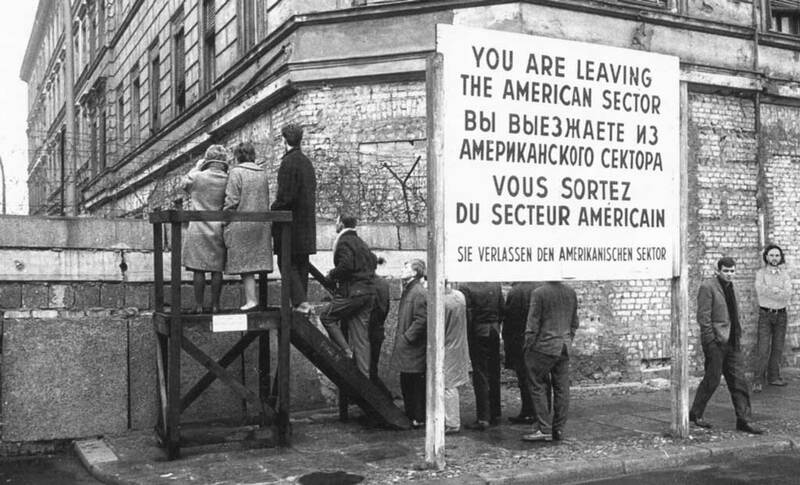 The fall of the Berlin Wall, which had been the symbol of divided Europe for 30 years, signaled the start of the unification of Europe. However, nowadays the perception in the Balkans is that now Europe is once again divided, and a new wall is set in place only this time by the EU itself, with countries and nations being left out (the "other" of Europe), allowed only to take a peek at the life on the other side while denied to take part in it.